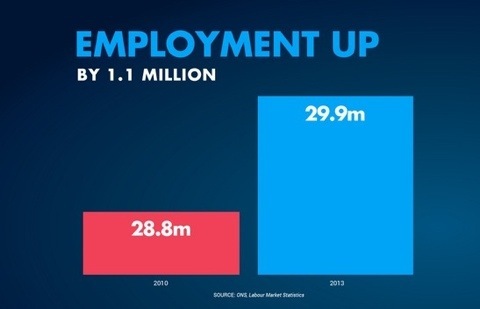 Readers will remember how the LibDems love their creative graphs. Well judging by this effort released by the Tories, CCHQ have cottoned on to that little trick. Who knew there was such a difference between 28.8 million and 29.9 million? Final proof that the LibDems are having an effect on the Tories in government.